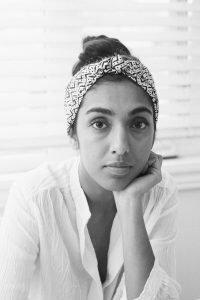 Simon & Schuster Canada has announced the anticipated second collection of poems and illustrations from bestselling milk and honey author and Instagram sensation Rupi Kaur. Divided into five chapters, the sun and her flowers “guides readers on a journey of wilting, falling, rooting, rising, and blooming in a celebration of love in all its forms … continu[ing] Rupi’s exploration of themes of love, loss, trauma, healing, and femininity,” according to a press release. Along with the writing and visuals, the Toronto-based author also designed the book, slated for publication on Oct. 3. 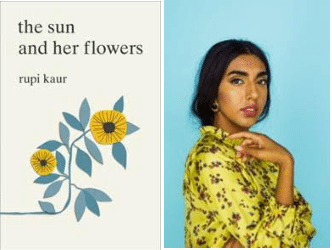 S&S shares world English rights with Andrews McMeel Publishing‚ which will release the title in the U.S.
Kaur, who has more than than 1.4 million Instagram followers, first caught the attention of S&S Canada after she self-published milk and honey in 2014 to great success. The title is a number-one New York Times bestseller, with more than two million copies sold and 24 translations to date. S&S Canada will also publish Kaur’s unnamed third title, as per a two-book deal vice-president and editorial director Nita Pronovost signed with the author last year. Publication details are still unreleased.